→The Air compressor Maintenance Guide – Ensure your Compressor Outlives You! Air compressor maintenance guide - how to ensure you compressors outlives you! Unfortunately, most of us work our air compressors for days or months without maintenance and expect them to perform as well as if they were new. If you maintain your air compressor, it will certainly live long and save you lots of money down the road. If you have a compressor that you like to use (or you’re in the market for a new compressor) follow this maintenance guide and you will probably be passing it on to your grandson! Unless yours doesn’t operate on oil, never try to run an air compressor without lubricant. To refill the tank, ensure that the tool is switched off and disconnected from the power source if it runs on electricity. Lay the compressor on a flat surface before removing the plug. Inspect the oil in the assembly to make sure that it doesn’t contain debris that could affect its performance. Ensure that the oil doesn’t surpass the sight glass’ halfway point. If you want to change the oil in your air compressor, wait for the parts to cool off before draining out old lubricant to leave room for fresh gas or diesel. When you are done checking or changing compressor oil, remember to replace the cap and tighten it securely. You can utilize plumbers tape to secure the nut better. Make a habit of checking your compressor for oil leaks, weird noises, and air leaks to prevent injuries during operations. Compressors have air filters to remove dirt and dust for a better job and they need proper care. You should inspect them every time you intend to use the tool to ensure that they are clean and fit to do the job. If you find that it is clogged with dust, remove it from the base and wash it before screwing it back. If it is totally damaged, you might need to replace it with a new one. These must be tight and away from other objects at all times. Such belts are the most common cause of air compressor related injuries and must therefore be used very cautiously. The belts must be properly lubricated to prevent friction and static build up which can spark fires. You need extension cords for electric air compressors as a way of ensuring proper access to far flung corners. It is always advisable to use cords made of thick, flexible wire that is properly insulated wire to prevent short circuits and accidental fires. Always inspect your cords for breakage and repair it before using them to prevent personal injury. Keep extension cords away from areas with high traffic to prevent accidental falls. Air compressors are an assembly of parts held tightly together by several nuts and bolts which tend to loosen with a number of operations. Professional air compressor users recommend monthly inspection of bolts to tighten them and increase the entire unit’s lifespan. The engine should be serviced annually to keep the air compressor in top shape. There are some easy maintenance steps that you can take to ensure that your compressor keeps running much longer but there are complicated procedures that demand professional attention. If your brand’s manufacturer doesn’t offer maintenance services, you can always enlist other experts with the know how to deliver good results. 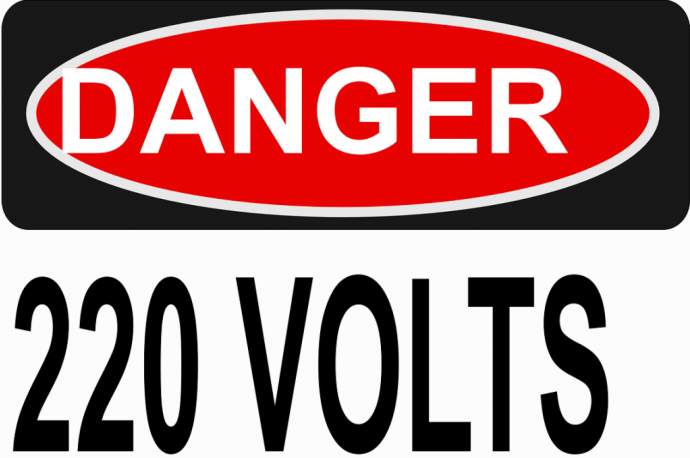 If you exceed the recommended voltage for an air compressor’s operation, there is major risk of damage from overload. Before using your tool confirm that only the appropriate amount of power flows through the cords to avert such risks. Unless your air compressor is designed for use in wet conditions, do not expose it to moisture for too long. This will corrode the moving parts, rendering your tool useless. If the air tool becomes damp while in use, remember to wipe it dry before storing it. Proper maintenance of tools saves users several trips to the stores in search of replacements. Proper care also guarantees early detection of faults that could damage the air compressor’s parts or expose the operator to serious injuries. The user manual contains detailed, brand-specific maintenance instructions that you should follow to make an air compressor last as long as possible. For some extra maintenance tips, check out this compressor maintenance guide. And you should be fine if you put the above tips in practice. If you use your compressor daily for you job (which means there is a good chance you use a pancake compressor or if you just love your air compressor, you air compressor has no reason to stop working for a looooong time.